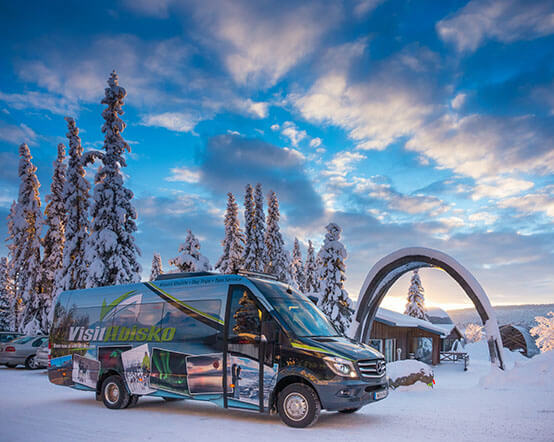 Meet our official transportation provider and tour partner, Visit Abisko. Please note: you will be taken to Visit Abisko’s website to complete your transfer booking. An arrival transfer from Kiruna Airport & Kiruna City to all hotels and accommodation in Abisko and Björkliden. Price: 450 SEK/person, single journey. 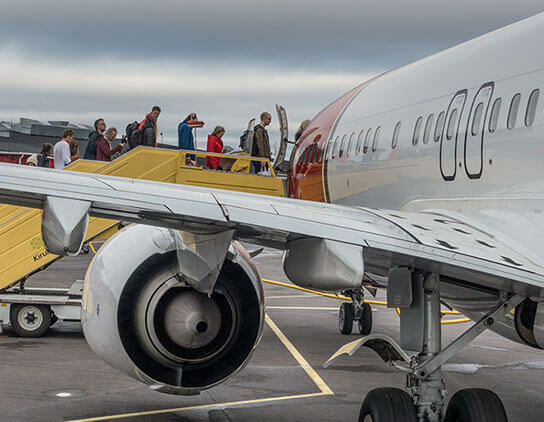 A departure transfer from all hotels and accommodation in Abisko and Bjorkliden to Kiruna Airport & Kiruna City. Price: 450 SEK/person, single journey. 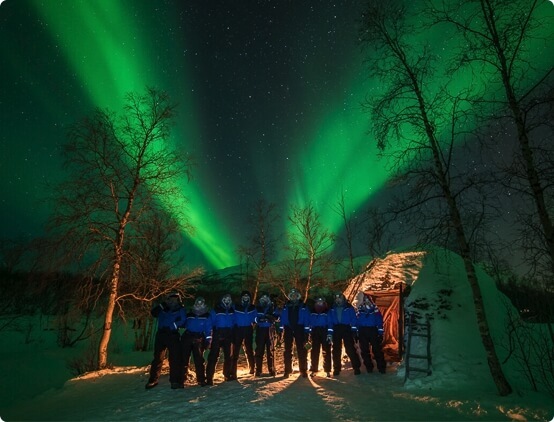 The Nightly Aurora Photo Tour starts from STF Abisko Mountain Station in Abisko National Park. This is located 2km from Abisko Östra, 7km from Björkliden and 100km from Kiruna. If you are not staying at the STF you will need a transfer to this tour. The Wilderness aurora photo adventure starts from the Abisko Mountain Lodge, located in the southern end of Abisko Östra. 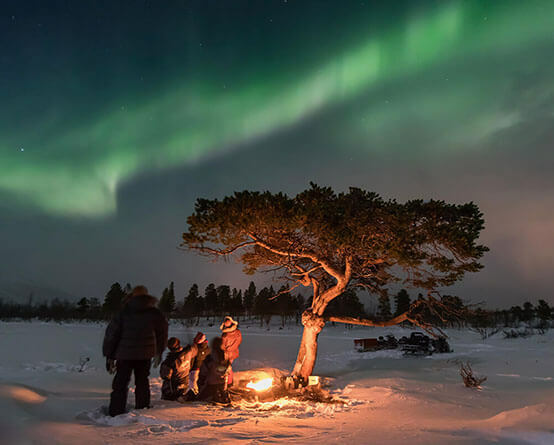 It is approximately 3km from the STF Abisko Touriststation, 10km from Björkliden and 100km from Kiruna. 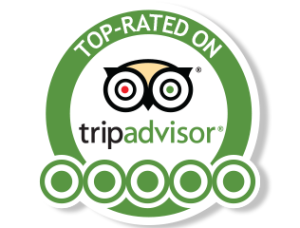 If you are not staying in Abisko Östra you will need a transfer to this tour. A transfer from the ICEHOTEL to all hotels in Abisko and Björkliden. Price: 525 SEK/person, single journey. A transfer from all hotels and accommodation in Abisko and Björkliden to the ICEHOTEL in Jukkasjärvi. Price: 525 SEK/person, single journey. A transfer from the city center in Narvik to all hotels in Abisko and Björkliden. Price: 425 SEK/person, single journey. 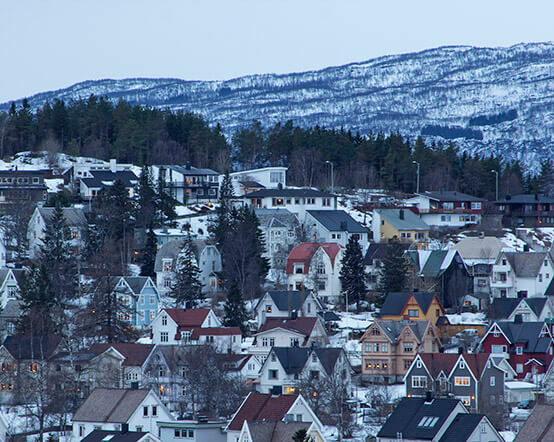 A transfer from all hotels and accommodation in Abisko and Björkliden to the city center of Narvik. Price: 425 SEK/person, single journey. 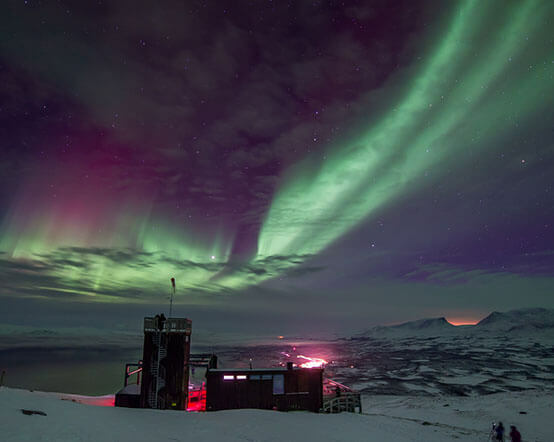 The Aurora Sky Station is located on the side of a mountain in Abisko National Park. You can reach the base of the chair lift by walking 15 minutes from the STF Abisko Mountain Station or by using Visit Abisko’s transfer service.